Willowleaf didn&apos;t reply. Skypaw could tell the former medicine cat knew this mysterious, spooky tom, but she didn&apos;t want to ask how. Skypaw wanted to pretend she wasn&apos;t here. "Come on, Willowleaf," The deep meow rang through Skypaw&apos;s ears. "You know you did." "Never in a million moons," Willowleaf spat. "Go back to where you came from." The cat&apos;s amber eyes moved from Willowleaf to Skypaw. It took all she had not to bolt away and not curl up in her warm nest with her sisters. "Who&apos;s this?" The tom questioned. Skypaw knew after a moment that this cat indeed knew who she was. Skypaw didn&apos;t know whether to speak or not, but she definitely didn&apos;t want him to think she was afraid of him. Luckily, Willowleaf saved her. "Darkface," The former medicine cat meowed calmly. "Go." Skypaw shivered. She couldn&apos;t get her mind off of how evil and mysterious this cat was, let alone with the name Darkface. "Relax, Willowleaf." Darkface&apos;s eyes seemed to soften. Skypaw glanced at Willowleaf and immediately thought of the worst. She&apos;d heard nursery tales of medicine cats who have had mates. It was against the warrior code, the medicine code, and simply wasn&apos;t right. 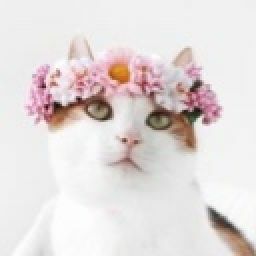 Unfair, Skypaw thought, but it was the code and no cat could change it. Growing hostility formed in Skypaw&apos;s mind. Willowleaf betrayed ThunderClan after all! How dare she? She deserved to go live by herself, even if she was ThunderClan&apos;s only healer! "Why should I?" Willowleaf retorted. "You only killed our mother." Skypaw froze. Our mother? The anger that had built up inside of her deflated instantly. Guilt replaced it. How could she even think Willowleaf would betray the Clan and take on a mate? This cat was her littermate! "I know," Darkface rolled his eyes. "But there&apos;s something you need to know." "I don&apos;t want any more of your apologizes!" Willowleaf hissed. "I know you don&apos;t mean them." "I&apos;m not here to apologize," Darkface meowed flatly. "I&apos;m here to warn you." Skypaw could see the color drain from the tips of Willowleaf&apos;s ears. Certainly Darkface wouldn&apos;t threaten his own sister, would he? "I know about the prophecy," Darkface explained, somewhat softly. Skypaw felt her own ears drain. The Dark Forest knew? Skypaw&apos;s memory took her back to her nursery days. "What&apos;s the Place of No Stars, Russetsky?" Shadekit&apos;s soft mew rang through the nursery. "Why do you need to know?" Russetsky meowed uncomfortably to her daughter. "Because," Rainkit chimed in. "We heard Hawkeye and Duskwave joking around about it. Is it bad?" "Yes," Russetsky meowed. Skykit could tell Russetsky was going to let Hawkeye and Duskwave have it when she got the chance. "What is it, then?" Skykit couldn&apos;t contain her own curiosity as she asked the question. "It&apos;s the Dark Forest," Russetsky meowed slowly. "It&apos;s where cats go when they do evil things in their lives. When StarClan doesn&apos;t accept them." The three littermates gasped. How could StarClan not accept any of their own kin? "What do you mean, when StarClan doesn&apos;t accept them?" Rainkit&apos;s eyes were as wide as the moon. "Go to sleep, my kits," Russetsky soothed. "We can talk about it another time." Russetsky never brought up the Dark Forest again, and neither did Skypaw or her littermates. Skypaw hadn&apos;t even given it a second thought, it had slipped her mind completely. Looking at Darkface, the reality of it all was starting to sink in. This cat had murdered his own mother and had been rejected by his warrior ancestors! And he was trying to warn them? Skypaw&apos;s eyes clouded with disbelief. Willowleaf had calmed down a bit, but Skypaw could still tell she hated her brother for his crime. Skypaw noticed the tortoiseshell she-cat nodded slightly, signalling him to continue. If Willowleaf was able to listen to her littermate, so should Skypaw. "How do you know?" Willowleaf meowed, suspicion in her voice. "I visit the Clans every now and then," Darkface explained. His amber gaze rested on Skypaw. "Just saw Skypaw earlier today." So he had known who she was, after all! "So that was you?" No wonder he was able to leave without a scent! Realization struck her mind once again. "How do you now my name?" Skypaw narrowed her eyes. "I&apos;m not mousebrained," Darkface replied. "I visit the Clans, and I know the prophecy. You&apos;re the sky that will fall, blah blah bla-"
"Get to the point!" Willowleaf snapped. "Anyways," Darkface glared at his littermate for a moment before continuing. "A new cat has visited the Dark Forest." "How does that affect us?" 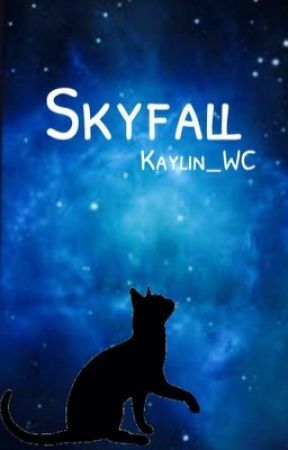 Willowleaf asked at the same time Skypaw meowed, "Who?" "It affects you because it affects the prophecy, and that cat, is Sunstar." MWHAHAH! Sorry, short chapter again. I figured this was a good place to stop. Comment your predictions, thoughts, questions and statements below! I love to read them. Don&apos;t forget to vote, and I&apos;ll have hopefully two more chapters out today, if not one.